Corporates have driven around $3 billion investment in new renewable energy projects via corporate PPAs. In 2016 the Clean Energy Regulator stated that 6000 megawatts (later adjusted to 6400MW of large-scale generation capacity would be needed between 2016 and 2018 to meet the 2020 Renewable Energy Target of 33,000 gigawatt hours (GWh). Today, we see projects with more than 6200MW capacity either in operation, or firmly committed and a further around 1400 MW deemed probable. Playing a significant role in developing this generation capacity have been Australia’s largest energy users – businesses, universities, state and local governments. Corporate renewable power purchase agreements (PPAs) supported projects with a combined capacity of more than 2550MW, of which about 2150MW was investment in new projects. This is more than a third of the 6400 MW additional capacity required by the end of 2018 under the RET. Financial benefits. PPA prices are generally confidential, however we see a continued downward trend for both wind and solar. 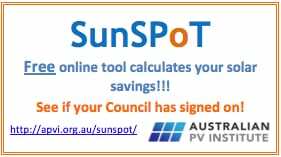 The most recent public indicators are the sub-$55/MWh realised by Telstra Club 1 for a 10-year agreement from a 226MW wind project and the low $60/MWh by University of Queensland (equity investment in a 64MW solar project). Taking control of costs and achieving greater budget certainty as they are often long-term deals, with a range of contracting models that can be tailored. A hedge against energy market volatility and, to some extent, a buffer against persistent energy and climate policy uncertainty. Sustainability benefits if a corporate retains the LGCs associated with a renewable energy project. Deals to date: most projects are in Victoria, often solar and long term. Energetics has developed a tracker showing the deals secured from 2016. As at 20 June 2018, approximately 60% of the project capacity supported by corporate PPAs is solar and the remainder, wind. Victorian projects dominate, accounting for more than 50% of project capacity (about 1400MW). Although outside the corporate PPA market, project developers and investors in Victoria will receive a further boost later this month when the State Government is expected to announce the results of the Victorian Renewable Energy Target (VRET) reverse auction. The longest agreement recently signed was the 20 year Mars Australia PPA with a new project, and the shortest was the five year Adelaide Brighton PPA with an existing project. the Sunshine Coast Council and the University of Queensland are equity investors in their respective projects. The Sunshine Coast Council engaged a retailer to facilitate supply from the site for their own consumption. The University of Queensland’s project may operate on a merchant basis, but it is a recent announcement and any further plans are yet be revealed. the Sun Metals and Nectar Farm PPAs are technically ‘behind the meter’ projects which offer the benefit of avoided network charges. Due to their significant size they have been included in this analysis. the Victorianand NSW Government are LGC-only offtakes and do not include power supply. While the prices in most deals are confidential, where known, it can be misleading to focus on the headline price. Corporate PPA prices are influenced by a range of factors, including but not limited to those listed below. As with price, details of contract and pricing models are generally confidential. However, some view corporate PPAs as financial risk management instruments such as the members of the Telstra Club 1 transaction,whilst others see it as an alternative way to purchase the electricity they consume such as the Melbourne Renewable Energy Project Buying Groupand the University of NSW. The drivers behind the choice of contract models are diverse and include factors such as the organisation’s risk appetite, accounting policies and inhouse capability to manage the agreement during the operational phase. Some organisations have contracted for 100% of their consumption driven by sustainability leadership considerations, whilst others allocated a smaller portion to mitigate their exposure to price increases and market volatility. Buyers groups accounted for 20% of the project capacity seen in the deal tracker and continue to hold appeal with Intelligent Water Networks (Victoria) and the Southern Shire Regional Organisation of Councils (NSW) actively engaging the market at present. As noted from statements made in the public domain, many more energy users are currently in the market for individual corporate PPAs, with announcements expected throughout the year from organisationssuch as Monash University, University of Technology Sydney, Coles, Westpac, and Sydney Opera House. Energetics will continue to track deals as they are announced.